I've met a number of people who would describe themselves as “burned out,” and even more people who've taken time off work due to stress or anxiety. It isn't a pleasant place to be, and a frightening response is often, "I didn't see it coming." I don't believe that is always true, so let’s highlight what can be done to avoid burnout. 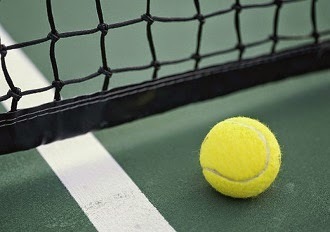 I see resilience -- our own personal “bounce-back ability” -- as being a bit like a tennis ball. We will get squeezed by external pressure, but if we are resilient we bounce back to our former shape when the pressure is no longer there. A lack of resilience can be illustrated by a table tennis (or pingpong) ball that, in response to enough pressure, will change shape and stay crunched even once the source of pressure has been removed. There are many things that we can do to develop and sustain our resilience, and these will be different for each person. They might include new healthy habits (whether physical, mental, or emotional), or things we need to address at home or work. Identifying these is an important step, but isn't very helpful unless we actually implement them and along with an awareness of strengths. This helps us tailor an individual plan that plays to strengths and is more likely to be implemented. I do a lot of work within organizations to help people develop and sustain their resilience. My strengths coach training with Gallup informs the approach that I take, and there are two main and actionable places where strengths can play a real part in helping people to be more resilient. I believe our dominant talents give us significant clues as to what our resilience weaknesses and blind spots might be. The easiest illustration of this is probably someone who has high Achiever. They’re prone to working very hard and may struggle if they can't see the impact of this hard work. Each of us has different blind spots and our dominant talents give us helpful clues about what we need to be wary of. With Relator and Woo as my top two strengths, I know that periods of time when I try to work alone are always the most difficult for me, as I’m not getting to apply my dominant talents. If I continue to work alone without addressing the needs of my Relator and Woo, this could lead to feeling hopeless and fatigued – in a word, burnout. Helping people name their strengths also means exploring how to fuel these strengths in order to remain resilient. We know from Gallup research that people who use their strengths are happier and more resilient. If you can find out how to do what you need to in a way that is authentic and plays to your strengths, it can be a powerful contributor to resilience. For example, one of the best ways for a Maximizer to work is to add polish to a project. Someone with Competition will attack the same project from a different angle that leads the team to scorekeeping and winning. Helping people discover a moment in each day where their dominant talents are in play leads to a healthier workplace. This can mean how we do our work as well as what it is that we do. We will all be tested by internal and external pressures, but we can take action to proactively develop our resilience. These efforts can be greatly aided by applying our strengths. Ian Pettigrew runs Kingfisher Coaching with a mission to help people, teams, and organizations to be resilient and realize their strengths. He does this through providing leadership development programs, workshops on resilience, and both team and individual coaching. 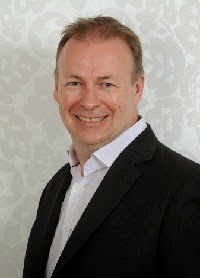 Ian is a Gallup-trained strengths coach and is passionate about helping people be authentic leaders.